"An intriguing text based love story...or is it?" 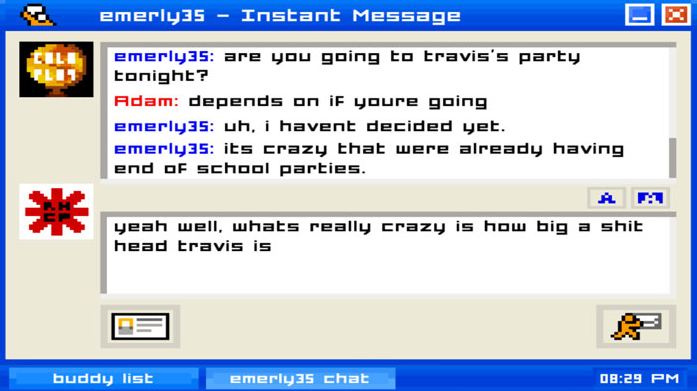 Emily is away is a free text based story game, is it a love story or just the story of two close friends? Will romance blossom? Will you take separate paths or will your destiny lead you back to Emily? 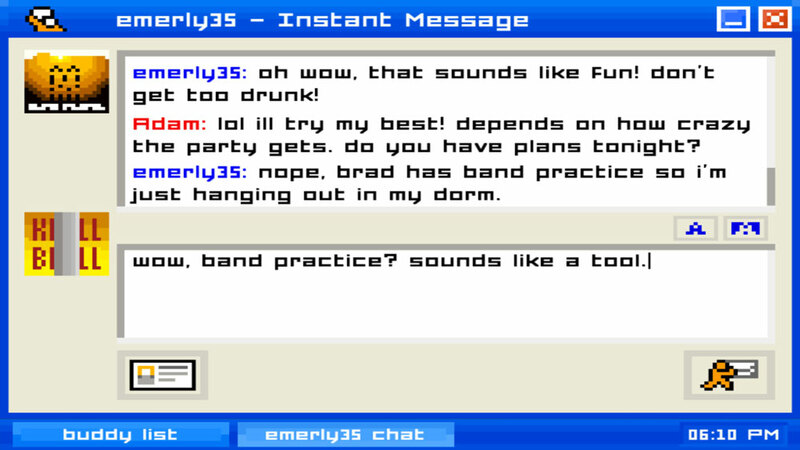 Emily is away is not the most exciting game you will ever play and in a way it’s not particularly interactive, the game is all played out in an old fashioned chat messenger style window where you have sporadic conversations with the mysterious Emily. Most people will remember the simpler looking chat clients we used to use in the early days of the internet and how exciting it was to be able to talk to people through them, suddenly we were connected with people all over the globe and I think we all at some point spoke to our crushes using a messenger service, it was much easier to ask someone out when you didn’t have to watch their reaction you could just type text in to a box, but how many times did we right that killer message only to chicken out and delete it. 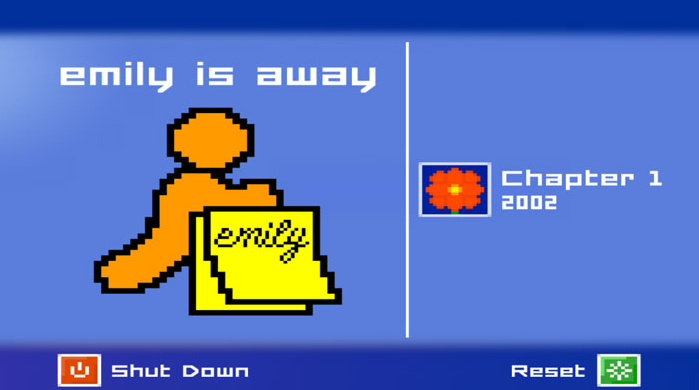 Emily is away is a game I thought I would really dislike when I started playing it thinking it would be another boring text based game but there was something about it, perhaps the voyeuristic tendency of the game and I had to keep going until the end, suddenly making Emily my girlfriend was very important even though I felt detached from the character I was supposed to be controlling. Emily didn’t have much personality the conversations for the most part were menial and straight forward and seemed like that of an acquaintance rather than a close friend but yet I had to keep playing to the end, maybe to see if the conversations would spice up a little, sadly they never became too exciting but to keep playing right until the end this game must have a strange appeal although it’s impossible to say what it is. You can have the Emily is Away free download here.